Sales of U.S. sorghum and barley have also been impressive in the last marketing year. Sorghum set a new record – increasing 60-fold year-over-year to 59,800 metric tons (2.35 million bushels) – a temporary increase due to the disruption of the U.S. sorghum imports in China and mostly used for feed. 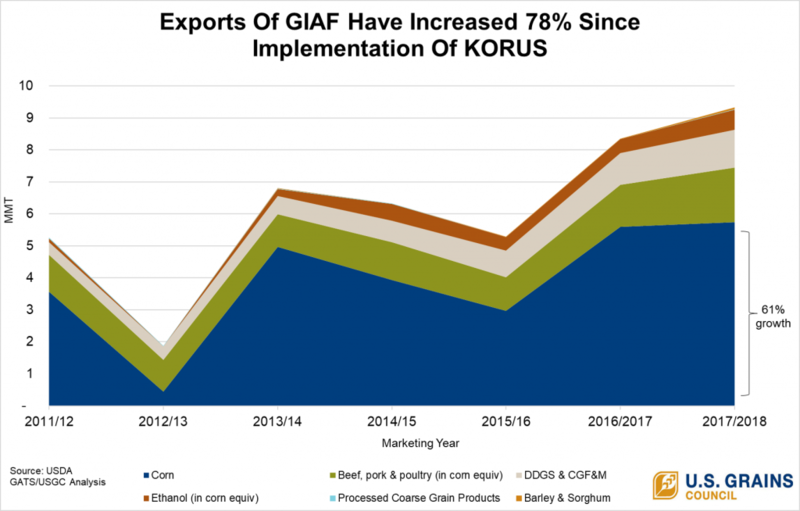 U.S. barley purchases increased by 116 percent – to 7,290 metric tons (335,000 bushels) – since KORUS went into effect.